A step towards safer drug use came about recently with the UK’s first drug-checking service at the Secret Garden Party festival. 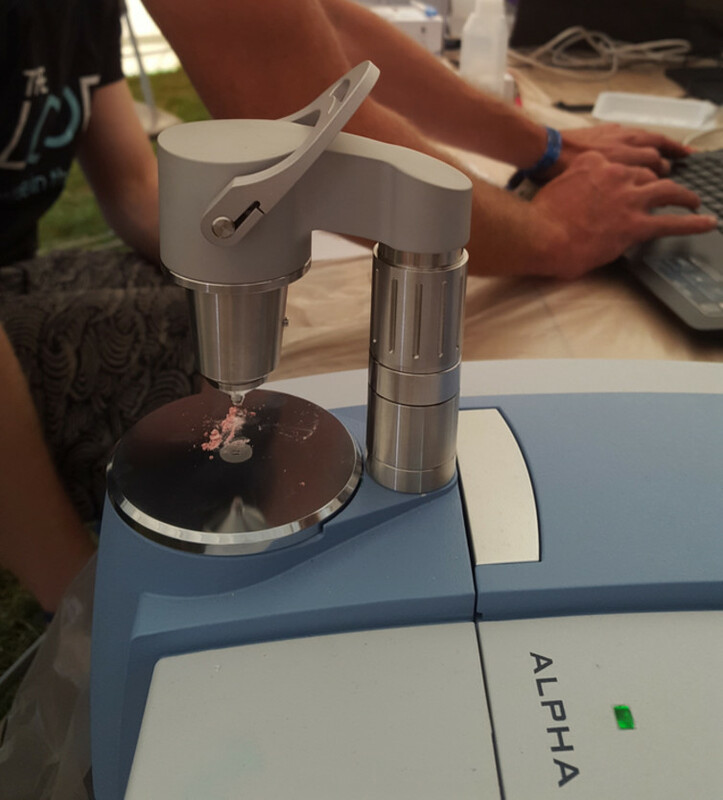 Operated by The Loop charity, the service provided hi-tech analyses of drugs submitted by festival-goers. In addition to the known toxic effects of street drugs, users are exposed to risks arising from the uncertainties of the illegal market. In the UK, for example, there are ecstasy tablets circulating that contain harmfully high doses of MDMA and other more dangerous drugs, such as PMA/PMMA. Drug-checking projects like The Loop’s provide an immediate picture of the range of products circulating on a particular site. And, if run well, they can provide important information to both users and on-site medical support services who may have to respond to drug emergencies. The analysis of street drugs in the UK is not new. Systems have been in place for several years that identify and share information on emerging and potentially harmful drugs among professional networks, and there is a demand for home testing kits (although some have limited usefulness). The Loop’s approach at the festival differed from other UK projects in that people submitting drugs were provided with information about their drug content and general advice about reducing drug harms. They were also offered information about where to get more help if they wanted it. Users then had the option to safely dispose of their drugs, but if they decided to take them, they would at least be better informed. This mirrors existing approaches elsewhere in Europe, where drug checking is much more firmly established, and where guidelines have been published that identify the best characteristics of high-quality programmes. Importantly, whereas previous drug-checking services, in places like Manchester’s Warehouse Project, were done below the radar, the Secret Garden Party initiative had the full support of Cambridgeshire Police, meaning that The Loop could work with users without fearing legal consequences. This reflects the increasing pragmatism of some police forces in their responses to drug-related harms. Although the work undertaken at the Secret Garden Party was encouraging, and there is emerging evidence that on a small scale at least, drug-checking projects can positively affect drug-users’ behaviour and reduce harm, it is uncertain whether they can be implemented on a large enough scale to benefit public health. It’s one thing to be able to operate in a single festival, working on a one-to-one basis with a relatively small and captive audience. But drug use also takes place outside such settings. It is often opportunistic rather than planned, and users will differ in their abilities to understand and act on information about drugs that is issued more widely. How do we reach these settings and users, and is it even affordable to roll out such programmes nationally? Getting the message out about drug risks is difficult, and can backfire if not done well. You can argue that in a field with limited resources, there might be other priorities, such as tackling the UK’s record high number of opiate-related deaths. It’s also a sad truth that even if there were comprehensive drug-checking coverage, because so many people use them, there will always be deaths resulting from recreational drug use, and so these approaches should not be seen as the whole solution. Still, The Loop’s work is important as it shows that it is feasible to operate drug-checking in the UK in a way that is acceptable to users and the police. Also it can motivate people to reflect on their drug use and the potential harms to which they are being exposed. Considering the ineffectiveness of some of the most popular responses to drug use, novel approaches such as drug-checking are likely to be highly salient as they intervene in close proximity to actual drug use episodes, and are worthy of further support and investigation. The challenge now is to better understand through research how drug-checking might complement a wider range of activities. It’s early days of course with regards to UK projects, but it’s worth reflecting on recent experiences in the Netherlands. Over Christmas 2014, the Dutch Drugs Information and Monitoring System, a community-based drug-checking system, identified distinctively designed ecstasy tablets containing high doses of the harmful drug PMMA. A comprehensive response was initiated and a national communication campaign launched to warn users about the potential threat. The response included users and dealers, police, drugs services, health and medical systems, and international professional networks. No Dutch fatalities were subsequently reported and the tablets did not appear in the Dutch market again. Tragically, over the same period, people in the UK who took ecstasy tablets with the same design, died. The Loop relies on the work of volunteers and collaboration with festival organisers and police. But for this type of work to be taken to the next step will require support from government, agencies such as Public Health England, and research funders. The Home Office’s official response to the Secret Garden Party project has been consistent with their policy stance, which is that the priority should be to prevent people from using drugs altogether. Nevertheless, we will be seeing more drug-checking projects, and they will play a valuable part in future strategies to reduce drug-related harm. This article appeared first on The Conversation. About the Authors: Harry Sumnall is interested in, and carries out research, on all aspects of substance use, particularly those related to young people’s health and wellbeing. Amanda Atkinson has worked on a range of research projects, predominantly relating to young people, drinking cultures, alcohol, and substance use. Emma Begley has research interests in UK drinking culture and illicit drug use. All three authors work in the Centre for Public Health, at Liverpool John Moores University.